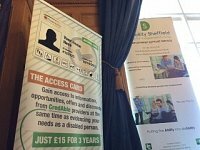 Disability Sheffield has teamed up with Sheffield City Council and Nimbus to offer the new “Access Card” for disabled people and a “Carers Card” to anyone caring for someone in Sheffield. As part of the “Accessible Sheffield” project the aim is to make life easier for people. 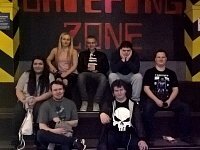 A group of young carers tried out their cards at Quasar. Disability Sheffield enjoyed attending SheffEX 2016 to engage with the city’s leading businesses on the benefits of working with disabled people and attracting disabled customers in order to tap into the £80Bn spending power.